It’s that time of year again, when Pies offer you all a timely assist with the oft-perilous task of purchasing Christmas presents for that football-obsessed maniac in your life. 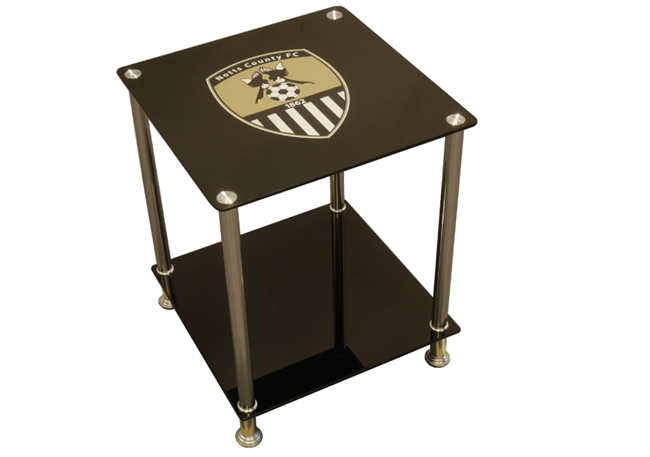 We’re kicking off the 2017 edition of our guide with a piece of furniture-based finery, the calibre of which we don’t often stumble across when perusing the official football club webstores of the world. That’s 21 kilograms of high grade frosted glass and brushed aluminium and it’s yours for just £149, delivery included. 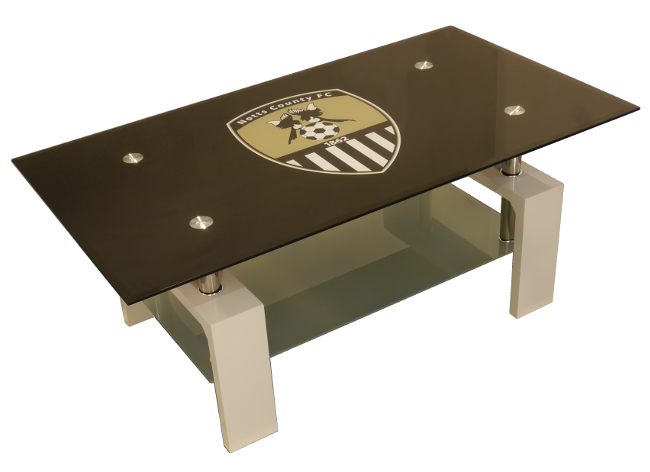 What’s more, you can have a name (say, Shola Ameobi) added for just an extra £16 should you wish to give your tables that personal touch. Both are available in black or white, so why not go the whole hog and buy the full set? Head this way for more Christmas Football Gift Ideas from the Pies archives.